Happy Friday STEEM friends! I hope you have a great weekend ahead! 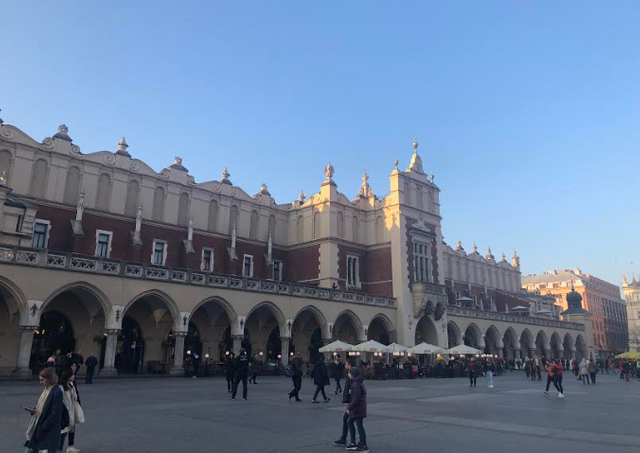 Today I would like to share a #MarketFriday post from my trip to The Cloth Hall in Kraków, Poland. #MarketFriday is a weekly initiative launched by @dswigle to broadcast the different types of marketplaces found around the world. The Cloth Hall is a Renaissance-era building located in the center of Kraków's Main Square. It was once a major centre of international trade, but with changing times, it is now a home to local goods and Polish souvenirs. 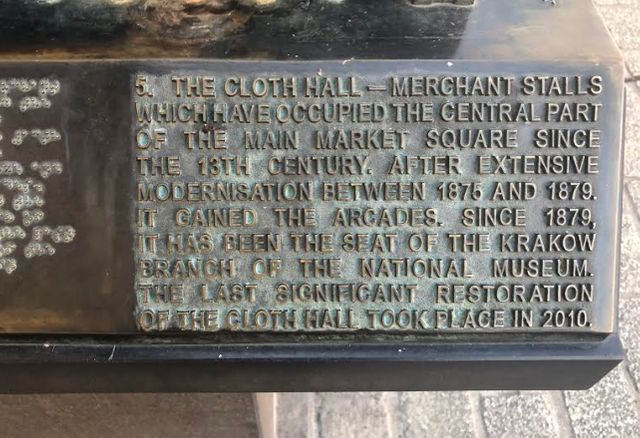 The Cloth Hall – Merchant stalls which have occupied the central part of the Main Market Square since the 13th century. After extensive modernization between 1875 and 1879, it gained the Arcades. Since 1879, it has been the seat of the Krakow branch of the National Museum. The last significant restoration of the Cloth Hall took place in 2010. The top floor of the Cloth Hall contains the Sukiennice Museum which is a division of the Polish National Museum. It contains a gallery of 19th century Polish art from the late Baroque, Rococo, and Classicist periods. 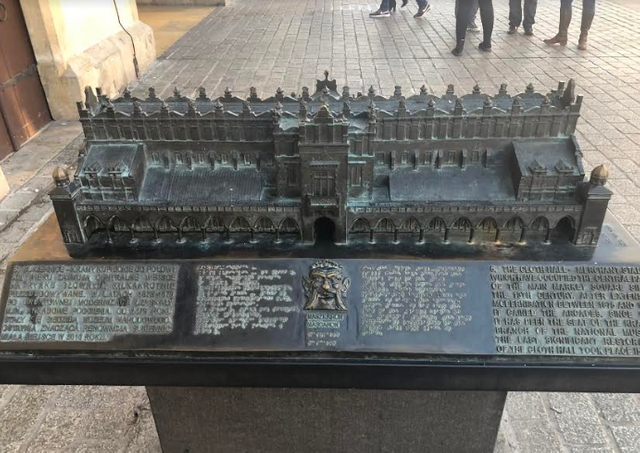 Below is a picture of the South entrance to the Cloth Hall. You can see the stairs that lead to the upper museum. The lower hall goes from one end of the building to the other. Vendors sell products from their shops on both sides of the hall. 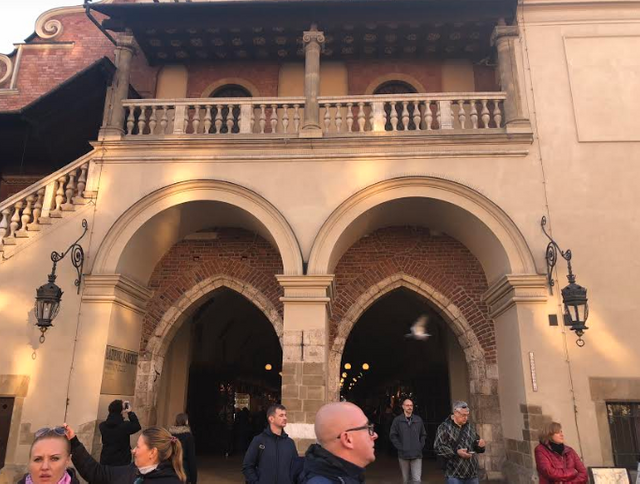 In the photo below, you can see the inside of the Kraków Cloth Hall. 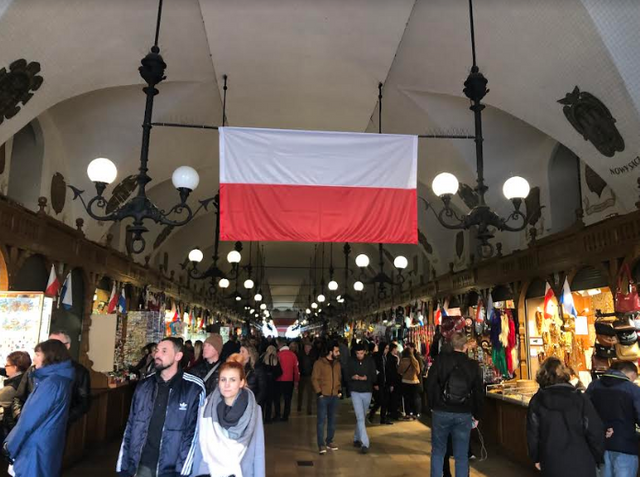 A large Polish flag hangs in the center of the aisle. I was here on a Saturday afternoon during the weekend of Poland's 100th Independence Day celebrations. It was quite a busy area. Unfortunately, I did not buy any goods from within the hall. Here is a look at one of the shops inside of the Cloth Hall. 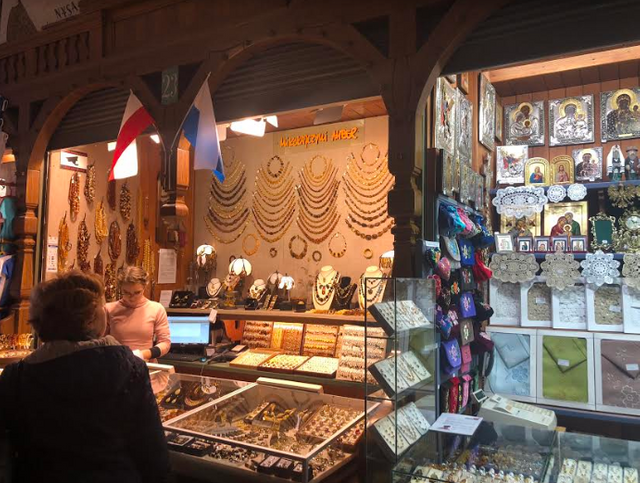 The shops sell everything from jewelry, pottery, stuffed animals, Polish national gifts, clothing and more. Some of the shops seemed to be selling the same things. Outside of the Cloth Hall on the North side, a row of horse-drawn carriages wait for passengers. I took this photo of a man feeding some fruit to a pair of horses. The man walked over, reached into his pocket, fed both horses a fruit and then went off to enjoy his day. It was a heartwarming moment that I was happy to catch. Overall, the Cloth Hall is a staple of Kraków, Poland. The Main Square is one of the largest medieval squares in Europe and the Cloth Hall is it's centerpiece. I highly recommend stopping by if you find yourself in the city! Our beloved Kraków! Where did you come from to our country? If you will ever come back to Kraków we've written a small city guide, which you can find on our blog. I can from the states! Thank you so much! I want you to know that The Cloth Hall in Kraków is one of the most favorite places in the world! I cannot tell you why, except that when I lived in Europe for a while and it was a most wonderful time in my life. 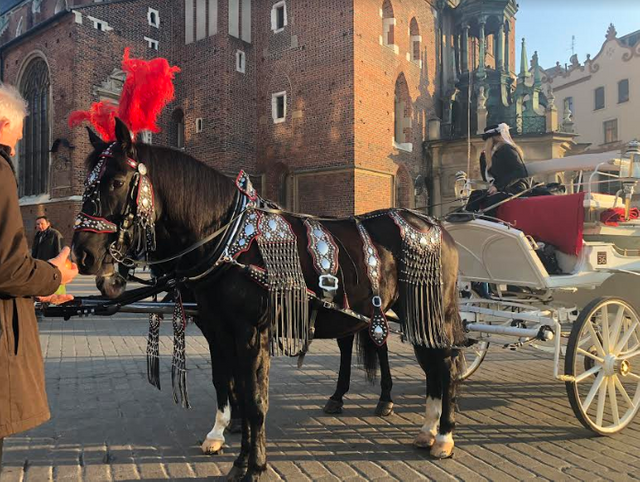 I went to Poland a fair amount of time and I always stopped there to see Wawel Castle and the Catherdral behind... I also fell in love with the Jewish Quarter. I purchased a fair amount of amber when I was in Poland, but, it was so cheap then, not like it is now. I also loved the wood carvings and the beauty of the architecture. I can still hear the sound of the bugle call from St. Mary's.... I am so happy for you to post this and I hope you had a most memorable trip there. Thank you for posting in the #MarketFriday Challenge! Thanks @tattoodjay! You have a great weekend as well! 🎁 Hi @jeffjagoe! You have received 0.1 STEEM tip from @dswigle!